The App Store has changed the world. Over the last decade society as we know it has been irrevocably shaped by the App Store and its products. Apple predictions often age badly because the company has a tendency to not directly follow the latest market trends; at the very least, they offer their unique twist on ideas others have been experimenting with for some time. However, based on how the App Store has evolved for the past 10 years, I see some interesting signs in its trajectory that are pointing to obvious changes coming down the road. So, even though I may turn out to be dramatically wrong in 10 years, here's my list of App Store changes I believe will occur over the course of the next decade. Apple gets serious about AR with a dedicated product and App Store. This is the obvious one. I'm convinced that the ARKit framework we have today is but a way for Apple to test the waters for a real, standalone augmented reality device. The rapid pace of improvements and growth of the ARKit developer APIs seems to indicate that Apple wants to listen to developers and gather feedback at scale before they're ready to commit to a dedicated AR product, which I think will materialize over the next 3 years as some form of glasses. Whatever Apple ends up building, I believe they want to adopt the same philosophy of the Apple Watch: an Apple AR product should be something fashionable and inconspicuous, which can blend in with existing eyewear form factors (be it prescription glasses or sunglasses) that avoids the mistakes of Google Glass and doesn't scream "I am a tech product on your face!" like other AR/VR headsets do today. I don't think Apple is content with making AR an iPhone feature, nor do I think they will ask users to abandon their existing glasses and wear something that doesn't fit their existing lifestyle. If Apple is working on AR glasses, they will have to account for the fact that billions of people already wear glasses every day because they can't see correctly otherwise – which is deeply different than asking people to change the watch they wear. This is a tall proposition, and I'm intrigued to see whether Apple can fix it by making their own prescription lenses (or deals with third-party companies) or an accessory that seamlessly integrates with glasses. It could go either way. When Apple releases an AR product, it seems inevitable that it'll come with its own App Store, much like the Watch and Apple TV also have one. At that point, developers who have already worked with ARKit (and future versions of the framework coming out over the next few years) will have an advantage over those who never bothered to understand ARKit and design for augmented reality. The way I see it, users will still be able to browse, install, and manage apps for their AR glasses from the iPhone, but developers won't be forced to bundle dedicated AR apps into iPhone apps as mere extensions; instead, they will have a way to sell exclusively and directly on the AR App Store if their apps only make sense in an augmented reality context. I expect navigation, games, home automation, and health to be some of the most popular categories in the AR App Store. I wonder if, in 10 years, I will be writing a follow-up to this piece wearing Apple Glasses that have become something completely normal to wear every day. Time will tell. More App Store cleanups on the way. As I argued in my App Preservation story yesterday, I believe that, over the next decade, the App Store will have to go through a series of additional "cleanup events" to get rid of what Apple believes is abandonware software that isn't receiving updates anymore. Perhaps we'll see a move to 128-bit SoC (though it seems unlikely given that there's plenty of addressable space left in 64-bit architectures); perhaps Apple will simply start phasing out apps that don't support a specific new version of iOS, if it'll even be called iOS. Perhaps at some point there will be a single, shared Apple OS between platforms, and every iOS app that doesn't support it within 5 years will be considered legacy. That's a "fun" scenario to think about. In any case, I strongly believe that preservation of millions of iOS apps and games will become a contentious topic between now and 2028. Signs do not point at Apple ever considering a backwards compatibility layer for emulating old apps on modern hardware; sadly, I expect the company to continue down this road. It's adapt or be removed from the App Store, and I fear that what we saw last year with the 32-bit transition was just a small example of bigger cleanups to come. A shared App Store blurring the line between mobile and desktop. This is the other big one for me: in 2019, Apple will officially launch a framework to let developers bring their iOS apps to the Mac. The unnamed project (which is known as "Marzipan" in the Apple rumor scene) is currently being tested by Apple with their new Home, News, Stocks, and Voice Memos apps for macOS Mohave. I believe that, by this time next year, we'll see even more Apple iOS apps come to the Mac, such as Podcasts, Music, and TV, which might also spell the end for iTunes as we know it. From a big picture standpoint though, I believe this framework is one of the many steps that will eventually lead us to a shared environment between desktop and mobile where the notions of "computer" and "tablet" disappear and everything runs under one OS that supports different form factors. Essentially, I see a future where there is one platform that supports devices of different sizes and with different peripherals attached to them without the distinction of iOS and macOS. And if that happens, it only seems natural to have the App Store be one – unified and consistent everywhere. We're already seeing the first signs of this idea with Mac and iOS apps that are separate, but actually share the same underlying subscription to unlock premium features. And just this week we heard that Adobe has embarked on a year-long mission to rewrite Photoshop and Illustrator with a new UI framework that will be truly cross-platform for tablets and desktop computers. I only expect these announcements to continue as we move closer to summer 2019 and the next WWDC. A lot of people are opposed to this idea on principle, but in practice this is already happening. We have subscriptions (either on the App Store or outside of it) that support the same app on multiple platforms and we, the users, often complain when our favorite iPad or Mac app doesn't offer the same functionalities as the other version, and vice versa. I think that many of us in the Apple community like to say that we want our platforms to be separate because change is hard and scary for everyone, but in reality we want to live in a future where the same experience follows us everywhere, on every device we own, regardless of the "platform" it's based upon. I can't wait for that future. Of course, Apple will have to judiciously blend the best aspects of macOS and iOS without sacrificing the usability of neither of them when this transition occurs. I am highly optimistic about the fact that Apple doesn't want to undermine any of their OSes to prioritize another that is "winning" in their mind. A shared app platform where the same app can run everywhere, but which developers fully control in terms of pricing and UI design, feels like logical thing to do now that consumers are increasingly using a variety of devices that already offer the same suite of apps and web services. If anything, for consumers, a shared app platform is going to simplify the situation we're in today. We often like to say that what we like best about Apple is how they're able to offer an integrated, cohesive experience across their product line. It doesn't get more integrated than a shared app platform that is flexible enough to adapt to each device, and unified enough to move everything forward at once. In 10 years, I expect to be discussing a single App Store that supports every Apple device. I’ve said in the past that I wish that the App Store had a web component, so I could buy apps whenever I had a browser available and have them automatically delivered to whichever device was appropriate. Although I recognize the possibility that a web store could create consumer confusion, that doesn’t feel like an insurmountable problem when Apple knows the devices tied to your Apple ID. When I think about where the App Store is headed though, I’m beginning to think we’ll never see a web-based store because we won’t need it. When you buy a book or a movie, it just shows up as available on whatever devices you have that work with that media. I expect Apple has something similar in store for apps. Mac and iOS apps pose a problem. If you’re at your Mac, you can no longer buy iOS apps and you can’t buy a Mac app from your iOS device. It’s a limitation that’s frustrating when you want to buy an app on the go and have it be there waiting for you on your Mac when you get home from work, for example. However, it’s a problem that I expect is temporary. At WWDC this year, Apple provided a sneak peek at APIs it is developing that will allow third-party developers to bring iOS apps to the Mac. The company showed off four iOS apps – Stocks, News, Home, and Voice Memos – that have been adapted for the Mac and will debut as part of macOS Mojave. Developers won’t get their hands on the new APIs until 2019. Apple also showed off an all-new Mac App Store at WWDC that has a lot in common with the redesigned, editorial-focused App Store that was released as part of iOS 11. I expect that is precisely where Apple is heading. With a universal binary, and a single app platform, developers could build apps that scale to any of Apple’s devices from an iPhone to a Mac. That would also allow Apple to sell apps the same way they do books or movies: as content that simply shows up on any compatible device. For example, download a text editor onto your iPhone and if a Mac app is part of the universal binary, it would be ready and waiting for you on your Mac too. While potentially convenient for consumers, such a system could have serious negative implications for developers. Unless Apple provides a way to charge customers separately for iOS and macOS apps that are part of the same universal binary, developers with Mac and iOS apps could see one source of revenue disappear, especially if consumers are trained to expect that one purchase gets them an app on all of Apple’s hardware. Apple has done a better job in the past couple of years expanding how developers can build sustainable businesses on their platforms, so I am cautiously optimistic that any merging of Apple’s app platforms will be coupled with a business solution that’s satisfactory for third-party developers, but it remains an open question for now. As a Mac user who has been frustrated with the stagnation of its app ecosystem for the past several years, I’m excited at the prospect of a unified App Store platform that works across all of Apple’s hardware. There’s real potential for it to breathe new life into the Mac. However, it’s also a scenario that is fraught with risk for the Mac. We’re probably still at least a year away from knowing much more, but if a unified App Store is in the works, I hope Apple is also working on the business solution for developers to go alongside the new APIs it teased. Where is the App Store headed? It's hard to imagine the amount of change seen in the last 10 years multiplied out for the next 10. My guess is that the App Store won't see as transformative a second decade, but that instead it will continue growing to serve a more diverse set of needs. Today, the back-bone of the App Store from a business perspective is free-to-play games that make gobs of money through In-App Purchases. While I have no reason to believe games like this will get anything but more popular as time goes by, my hope is that growth in other segments of the App Store will happen at a faster rate. One area ripe for growth is that of iPad productivity. News this week of Adobe's work to bring the full power of Photoshop to the iPad is encouraging, following in the footsteps of work Serif has already been doing through its Affinity apps, such as the just-launched Affinity Designer. In recent years Apple has opened the door to a wider variety of approved business models for apps, which productivity apps are now in a great position to take advantage of. We're already seeing this across several different areas: Ulysses makes great use of subscriptions, The Omni Group is doing free with one-time In-App Purchases, and newcomer Agenda uses an innovative model – pro features can be unlocked with an In-App Purchase that includes access to new features for the next 12 months, after which time the features you paid for remain, and you can pay up again if you want any new features that arrive later. Gone are the days when productivity apps had to be paid up front to make real money; now, that former barrier to entry is gone as apps can utilize free downloads and even trial periods in many cases. This, combined with Apple's continued work at making the iPad a capable productivity tool, gives me a lot of hope for a growing market of pro apps on the App Store. Besides the potential for an App Store less dominated by addictive games, another thing that intrigues me about the next decade is how Apple will handle apps on its ever-growing hardware lineup. Currently, the iOS App Store is separate from the Mac App Store, which is separate from the tvOS App Store, and Watch App Store, and there's also an iMessage App Store. As Apple launches new product categories in the future, such as a rumored AR-focused device, will the App Store continue to be as fragmented as it is today? I hope not. I'd love to have the ability to browse all apps for all platforms from a single device, so that whether I'm on my iPhone, iPad, or Mac, I can download apps on to any other device I'd like. This sort of works now with certain devices, but the implementation isn't ideal. You can use features like automatic downloads to get Universal apps on to other devices, but that also means installing those apps on devices where you may not want them. If I want to download HBO Now on to my Apple TV, but not my iPhone, I can't do that from iOS; similarly, new Watch apps always get installed on your iPhone too, whether you want them there or not. And if I want to install an iPad-only app, I can't do that from my iPhone. The way I envision it, each product in Apple's lineup can still have its own storefront, with editorial work and app curation that's based on the device you're using, but it should also contain access to apps for other devices, which you can start downloads for from whatever device you're using and they'll download to the right place. As Apple's product line becomes both more capable and more diverse, I think it will become even more important to have a single, unified App Store that ties all those products together. Who knows, maybe in the not-too-distant future we'll even be able to install "apps" on the HomePod right from the App Store. It's amazing to see how far the App Store has come over the last decade. Apple has worked hard to eliminate a majority of the biggest pain points that developers have complained about from day one. They've released in-app purchases and subscriptions, improved developer documentation and tooling, greatly reduced app review times, and provided hundreds of advanced APIs for third-party apps to take advantage of. It's been a great ten years for the App Store, but there's certainly room to keep growing. One of the App Store's biggest weaknesses is search. If I want to find an app and don't know its exact name, I have a much better shot at finding it via Google than I do by searching on the App Store. In a similar vein, if I know I want a certain type of app but don't have a specific one in mind, the App Store isn't going to be the best place to look up all of my options. Apple has tried a few different methods to solve this already, such as allowing developers to buy advertisements based on keywords so that their apps will show up when customers search for various terms. I think this has been an improvement overall, but I don't like that it puts the onus on developers to solve the App Store's search problems. 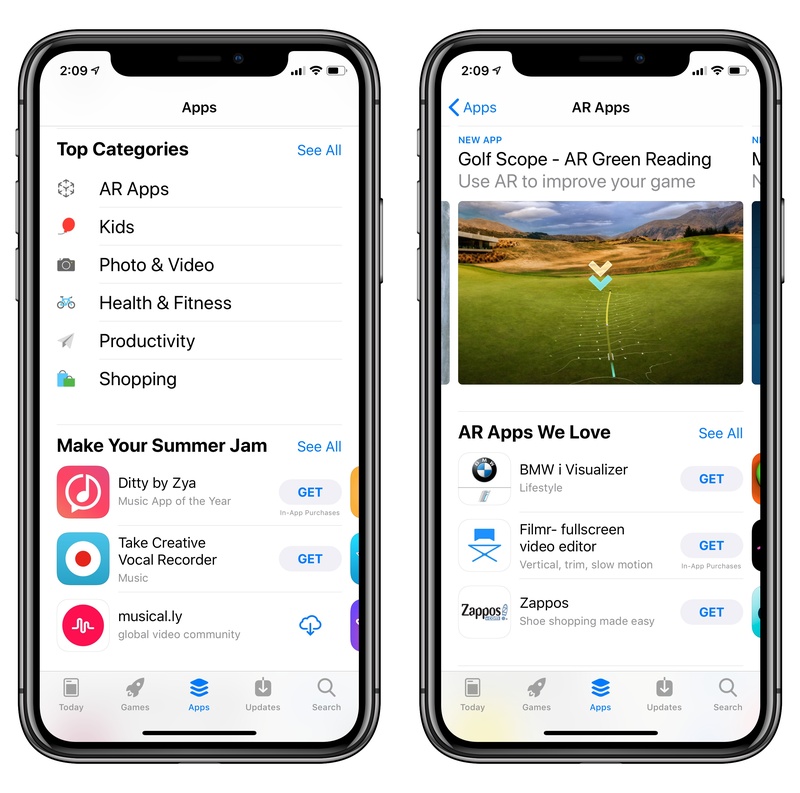 To their credit, Apple has also been building out their App Store editorial front page, which has been outputting great reviews and round-ups of apps which could be helpful for search and discovery. This content isn't very searchable either though, and feels much more focused on customers going to the App Store without a specific goal in mind. Over the next decade I'd like to see Apple build out much more robust search capabilities. The great editorial work that they're doing should continue to be surfaced on the search page, but I want fuzzier searches that are less reliant on the app's exact name. I also hope Apple figures out a better way to organize their editorial content so that it can be more easily surfaced after it leaves the front page. I'd love to see that work make the leap to the web in one way or another so that App Store articles are easier to link to. They could implement something like tags as well to make it easy to look up articles on similar subjects. These are all problems that have been solved by websites for many years, and I'm not sure why Apple is bucking so many established norms for similar content. I hope we see these walls come down within the next ten years. It was just last month that Apple sort of announced official support for free trials on the App Store. It involves making a free, expiring in-app purchase to unlock all of an app's features. This is better than nothing, but it's more confusing for customers than if Apple would add free trials as an actual pricing model for an app. Now that Apple has dipped its toe in the water of free trials, over the next decade I want to see a more fully baked implementation of the idea. A free trial should be clearly displayed on an app's page on the App Store so that customers know exactly what they're downloading. 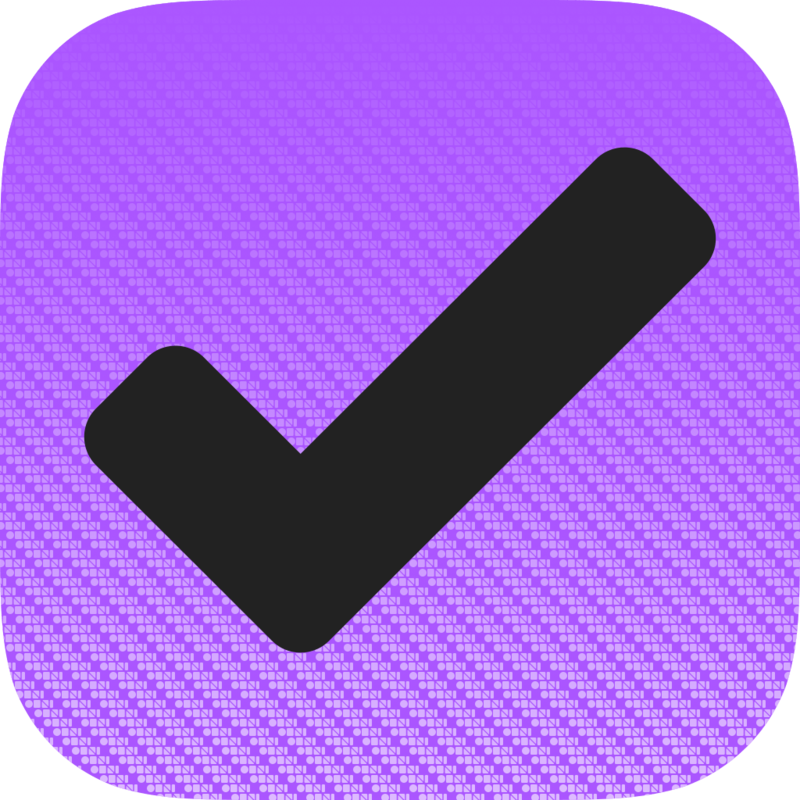 Once a free trial has expired, the app's icon should show some sort of indication that this app is not going to function unless the customer purchases the full version. There are lots of other little details to figure out and polish to be applied to free trials, but in ten years I am fully confident that Apple can handle this. While there are plenty of other features that I could request for the App Store, my overarching hope for the next decade is that Apple continues to keep it a priority. Many times in Apple's history we've seen products or services fade out of the spotlight and grow stagnant — the Mac App Store is a relevant example in this case. I don't expect Apple ever to grow quite that complacent for the iOS App Store, but its certainly possible that priorities could shift and it could stop advancing so quickly. I really hope this doesn't happen, and that Apple will continue to prioritize this work and grow their incredible software marketplace. Based on what we've seen over the last ten years, I'm confident that there are great things in store for the next.